Which lasts the characteristics of traditional eGo-C. Its capacity is larger than traditional cartridge of tank system. 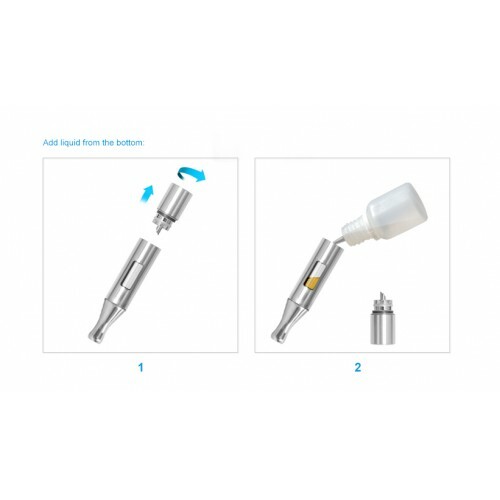 And the upper air inlet eliminates the risk of leakage at the bottom. 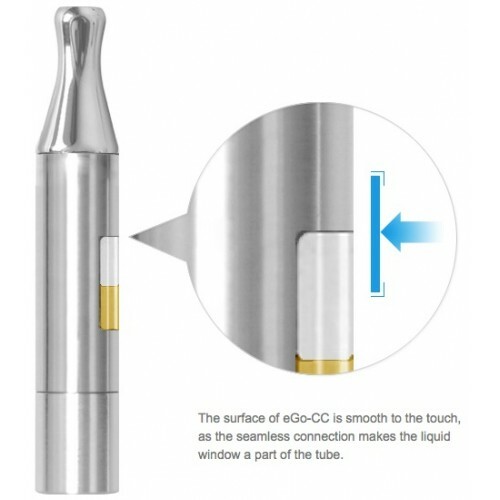 eGo-CC adopts the classic Joyetech changeable atomizer head. It is named eGo-CC because it features with "changeable" atomizer head and "clear" liquid window. The transparent window is the highlight of eGo-CC. From which, the liquid volume is quite intuitive.